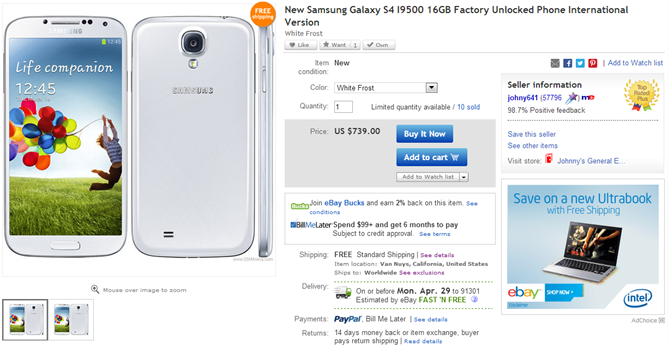 The last Galaxy S4 eBay Daily Deal we posted was sold out within minutes of posting, so move quick if you're considering an unlocked Galaxy S4 - it's back on eBay Daily Deals for $740, $40 more than previously. This may not sound like a 'deal,' but most sites are still taking pre-orders for this version of the S4, and many are charging $900 or more for the device. This eBay Daily Deal gets your S4 shipped out in the next week. This deal won't last long - so hop on it while it's still there, because it definitely won't be sticking around. This is an unlocked 3G GSM version (meaning it won't work on Verizon, Sprint, or really even fully work on T-Mobile) of the phone, so you'll have to be on a GSM carrier. There is no LTE support. 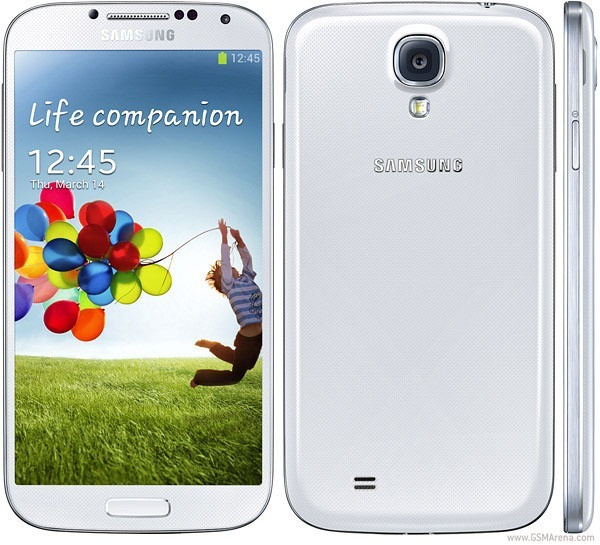 The advantage to this model is that it's the version powered by Samsung's new Exynos Octa dual-quad-core chip. Most markets (including the US) will be getting Galaxy S4s with Snapdragon 600 processors, which does support LTE, so this phone does vary from the one many carriers will be selling. Head to the source link to take advantage of the offer now.